When the Ogoni people of Nigeria organized in protest of Shell’s oil operations in the Niger Delta, Shell worked with the Nigerian military to crack down on the Ogoni. Nigerian soldiers used deadly force and massive, brutal raids against the Ogoni people throughout the early 1990s to repress a growing movement against the oil company. This crackdown culminated in the torture and execution of acclaimed writer and environmentalist Ken Saro-Wiwa and eight other leaders, known as the “Ogoni Nine,” on November 10, 1995. We took Shell to court in the United States to seek accountability for surviving victims and the families of those killed. On the eve of trial, on June 8, 2009, Shell agreed to settle the lawsuits filed against it. The settlement provided a total of $15.5 million to compensate the plaintiffs, establish a trust for the benefit of the Ogoni people, and cover some of the legal costs and fees associated with the case. Surviving family members of several of the Ogoni Nine, including the families of Ken Saro-Wiwa, John Kpuinen, Dr. Barinem Kiobel, Felix Nuate, Daniel Gbokoo, and Saturday Doobee, Other plaintiffs included the family of Uebari N-Nah, who was shot and killed by a soldier from a Shell security team; Owens Wiwa, Ken Saro-Wiwa’s brother, who was detained and tortured for his activities on behalf of the Ogoni; and Karalolo Kogbara, a who was shot by Nigerian troops called in by Shell to guard personnel who were bulldozing her crops in preparation for a Shell pipeline. Royal Dutch Shell (including its predecessors Royal Dutch Petroleum Co. and Shell Transport & Trading Co.), as well as its Nigerian subsidiary Shell Petroleum Development Co. of Nigeria (SPDC), and SPDC’s former managing director. In addition to EarthRights International, counsel for the plaintiffs included the Center for Constitutional Rights, Judith Brown Chomsky, Anthony DiCaprio, Paul Hoffman, and Cohen Milstein Sellers & Toll PLLC. 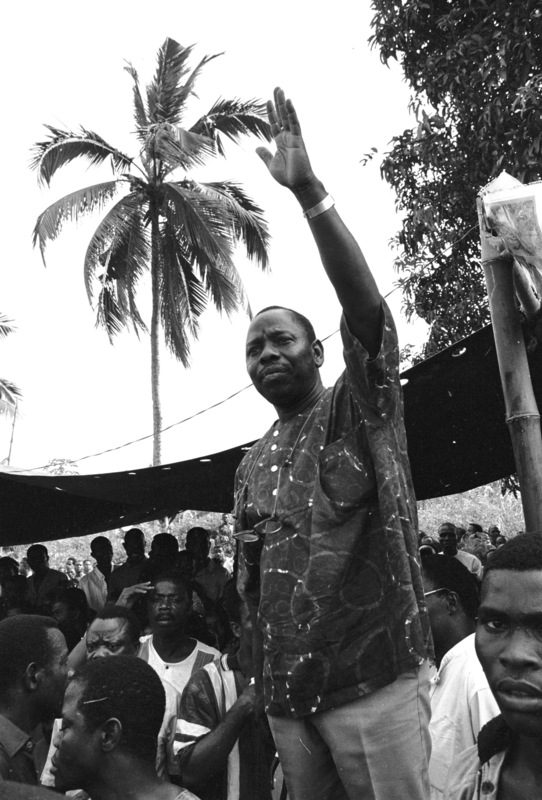 After more than 30 years of Shell’s destructive oil exploitation, Ogoni leaders including writer Ken Saro-Wiwa founded the Movement for the Survival of the Ogoni People (MOSOP), a human rights group committed to using nonviolence to stop the repression and exploitation of the Ogoni and their resources by Shell and the Nigerian military government. MOSOP quickly garnered wide support and in 1993, at least half the total Ogoni population publicly supported the group. Saro-Wiwa brought worldwide attention to the human rights violations committed against the Ogoni through international campaigning and his poignant writing. 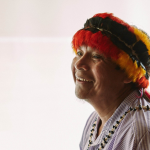 He was nominated for a Nobel Prize and awarded the Right Livelihood Award and the Goldman Environmental Prize for his environmental and human rights activism. In the face of local protests, Shell requested military support to build a pipeline through Ogoni, despite knowing the brutal reputation of the Nigerian military. When plaintiff Karalolo Kogbara was protesting the resulting bulldozing of her crops, she was shot by Nigerian troops and lost an arm as a result. In a separate incident later that year, Shell again requested military assistance to recover a fire engine; a Nigerian soldier sent by and paid by Shell shot Uebari N-nah near a Shell oil facility. Ken Saro-Wiwa and other Ogoni leaders were prevented by the military from attending a gathering, where mob violence killed four traditional Ogoni chiefs. The military governor promptly announced that Saro-Wiwa caused the deaths, and he and other leaders were taken into custody. Despite the lack of any connection between MOSOP and the deaths, the military used the deaths as a pretext to conduct raids on 60 towns in Ogoni and to detain and beat several hundred men suspected of involvement with MOSOP. Nigeria’s military government created a special tribunal to try the Ogoni leaders —known as the “Ogoni Nine”– for the murders of the four chiefs. The tribunal denied the Ogoni Nine access to counsel, a fair trial, and the opportunity to appeal the decision. During the course of the trial they were tortured and mistreated, as were their relatives. Despite a global outcry and opposition from the U.S. president and the U.K. prime minister, the military government executed the Ogoni Nine by hanging on November 10, 1995. The Center for Constitutional Rights, later joined by EarthRights International and other lawyers, filed the first suit seeking to hold Shell responsible for the executions and other abuses. Filed in U.S. federal court in New York, the case was brought under the Alien Tort Statute, a 1789 statute giving non-U.S. citizens the right to file suits in U.S. courts for international human rights violations. The plaintiffs also included claims for violations of the U.S. Torture Victim Protection Act (TVPA) and wrongful death, assault and battery. Shell filed its first motion to dismiss, arguing that it is not subject to jurisdiction in New York and that it is inconvenient to hear the case in the United States. Judge Kimba M. Wood ruled that Shell is subject to jurisdiction in New York, but agrees that it would be more appropriate to hear the case in the U.K., and dismissed the case. 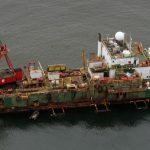 The plaintiffs appealed Judge Wood’s decision dismissing the case, while Shell also appealed the determination that it was subject to jurisdiction. The Second Circuit Court of Appeals reversed the dismissal, finding both that Shell was subject to jurisdiction in New York, and that it was appropriate to hear the case in the United States. The defendants petition the U.S. Supreme Court to review the Court of Appeal’s decision, arguing that the case should be dismissed because the Alien Tort Statute and the Torture Victim Protection Act do not apply to their actions. The Supreme Court refused to hear Shell’s case. The plaintiffs filed a second lawsuit against Brian Anderson, who had been the Managing Director of Royal Dutch/Shell’s Nigerian subsidiary. Shell and Anderson filed new motions to dismiss the Wiwa cases, arguing that the plaintiffs did not have a legal basis for their claims. Additionally, lawyers representing other Nigerian victims filed the case Kiobel v. Royal Dutch Petroleum, which was heard together with the Wiwa cases. Judge Wood again denied Shell’s motion to dismiss, ruling that the plaintiffs can proceed with their case and rejecting Shell’s arguments. The case proceeded to the discovery phase. The plaintiffs brought an additional lawsuit against Shell’s Nigerian subsidiary, Shell Petroleum Development Co. of Nigeria (SPDC). Discovery in the other cases ended shortly thereafter. Following the Supreme Court’s landmark decision in Sosa v. Alvarez-Machain, the parties submitted additional briefing on the impact of that decision. In the related Kiobel case, Judge Wood issued a decision dismissing some of the claims, including claims for summary execution. The Kiobel plaintiffs filed an appeal to the Second Circuit, and the case would ultimately reach the Supreme Court. SPDC filed a motion to dismiss the case against it. As the Wiwa plaintiffs prepared for trial, Judge Wood dismissed the case against SPDC, finding that the company was not subject to jurisdiction in New York. The plaintiffs appealed to the Second Circuit. The parties filed additional briefs on international norms, with Shell asking Judge Wood to dismiss the claims (including claims she had dismissed in the Kiobel case). The plaintiffs filed their final complaints against Shell and Anderson. Judge Wood rejected Shell’s arguments for dismissal, reversing her earlier decision in the Kiobel case and allowing all claims to proceed to trial. In June, the Second Circuit granted a partial victory in the SPDC appeal, ordering that additional evidence should be considered. On June 8th, just before trial was set to start, Shell agreed to a settlement of all three lawsuits filed against it. The settlement provided a total of $15.5 million to compensate the plaintiffs, establish a trust for the benefit of the Ogoni people, and cover some of the legal costs and fees associated with the case. The Second Circuit dismissed the related Kiobel case entirely, ruling that corporations cannot be sued under the Alien Tort Statute. The U.S. Supreme Court issued a different decision in the related Kiobel case, ruling that cases under the Alien Tort Statute could only proceed if they had a sufficient connection to the United States – if they “touch and concern” the United States. The Supreme Court dismissed the case. Representing Esther Kiobel, the lead plaintiff in the Kiobel case, ERI filed a Foreign Legal Assistance request seeking to use the evidence from the Wiwa and Kiobel cases in a new lawsuit against Shell to be filed in the Netherlands. The district court also issued several decisions on what claims for violations of international law could be brought under the ATS. In 2002, the district court ruled that claims for arbitrary arrest and detention and for violations of the “right to life, liberty, and security of person” were not sufficiently well-established under the ATS. In the 2006 decision in Kiobel, Judge Wood reversed her earlier decision on arbitrary arrest and detention and allowed those claims to proceed, but additionally concluded that claims for summary execution/extrajudicial killing, forced exile, and property destruction could not be brought under the ATS. Finally, in her 2009 decision, Judge Wood found that claims for summary execution could proceed, but additionally concluded that claims could not be brought under the ATS for violation of the right to peaceful assembly. Judge Wood also concluded that a plaintiff who was an alien when she filed suit, but subsequently became a U.S. citizen, could still continue claims under the ATS. In 2002, the district court ruled that plaintiffs’ claims under the Racketeer Influenced and Corrupt Organizations Act (RICO) could proceed. In 2009, however, Judge Wood dismissed the RICO claims, finding that the plaintiffs had not shown that the alleged wrongful conduct had sufficient effects in the United States.